From exploring Edinburgh Castle to scouring the shores of Loch Ness for the Loch Ness monster, Scotland is famous for many things, all of which are worth doing. Though if you want to take a break from the top tourist attractions and see some of the lesser known sites, read on as we explore a few of Scotland’s more hidden treasures. 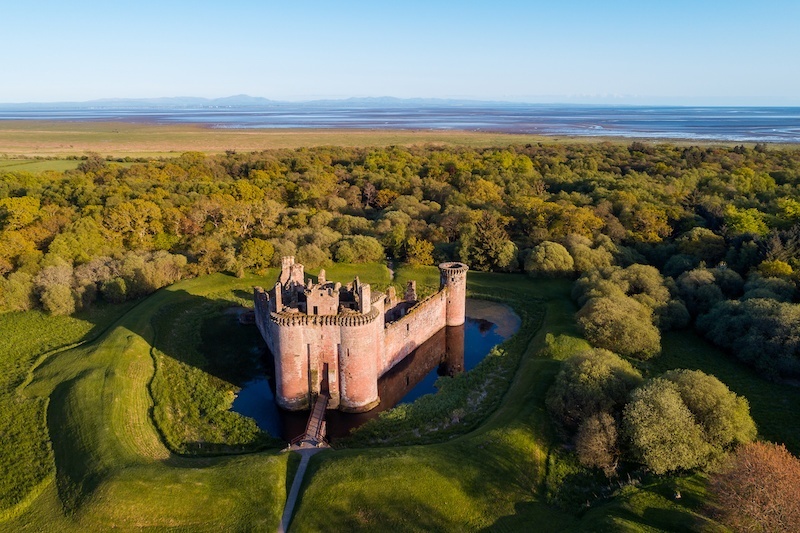 If you are passing through the Dumfries area and enjoy exploring a castle or two, add Caerlaverock Castle to your itinerary. Located next to Caerlaverock National Nature Reserve, surrounded by a picturesque moat and in the unique shape of a triangle, Caerlaverock Castle was the stronghold of the Maxwell family between the 13th and 17th centuries. As well as admiring the impressive structure, you can learn all about the Castles eventful past in the exhibition, explore Nithsdale Lodging, an ambitious structure constructed within the Castle walls in the 17th Century, and investigate the nature-rich grounds. No visit to Scotland would be complete without a trip to at least one of its many Islands, and you’ll be happy with whichever you choose – they all have their own character and highlights. The Isle of Jura off the west coast, for example, is special because while home to only around 200 people, it is inhabited by over 5,000 deer. If wildlife spotting isn’t for you though, you can seek out one of Jura’s other various attractions which include Iron Age forts, ancient burial grounds and standing stones as well as the main town, Craighouse, and the Isle of Jura Distillery. Off the coast, between Jura and Scarba, you can take a boat trip to see the spectacular Corryvreckan whirlpool – the third largest whirlpool in the world! And, if you have time to fit in another island, next to Jura is Islay, which is home to eight distilleries and known for producing whisky with a smoky character; it’s also the origin of The Botanist gin! Further up the west coast is Sandwood Bay, considered one of the most beautiful beaches in Britain. 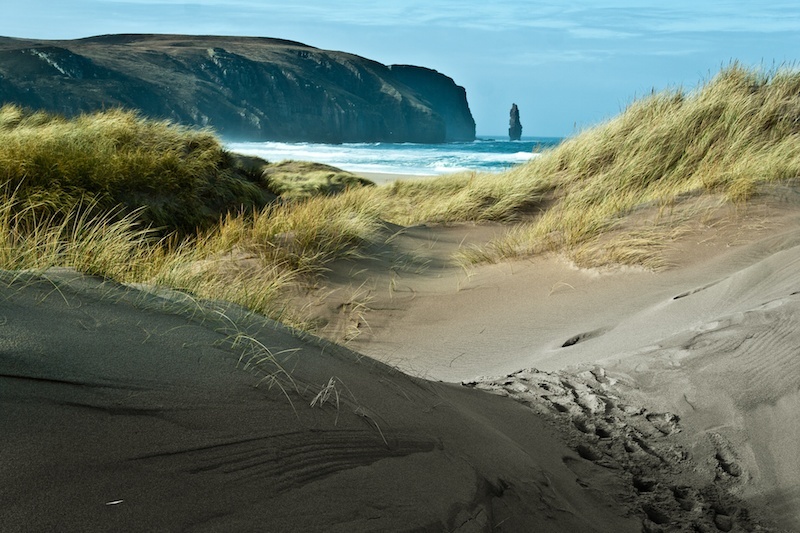 If you want to take advantage of the mile and a half long sandy beach and its surroundings, which include breath-taking cliffs, a spectacular sea stack, stunning dunes and a majestic loch, you have to put some effort in though; the nearest car park is about a four-mile walk away. Have a look at the route here. Continuing from Sandwood Bay and following the famous North Coast 500 tourist route, you’ll reach Smoo Cave, another of Scotland’s many hidden treasures. 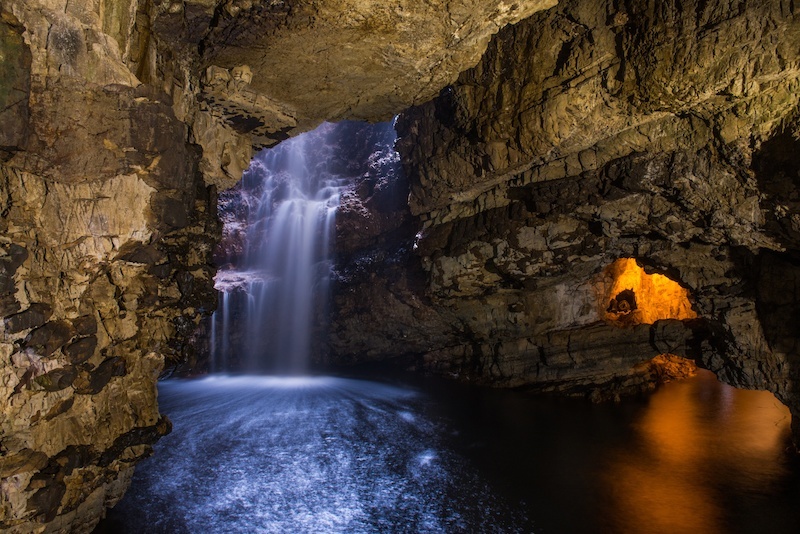 Set into the limestone cliffs near Durness, you can visit the cave’s waterfall chamber yourself all year round by following the walkway down from the car park to the cave’s entrance. If you happen to be visiting between April and September, though, you can learn all about the cave’s geology from local cave enthusiasts by taking their geological cave tour, which is partly by boat. 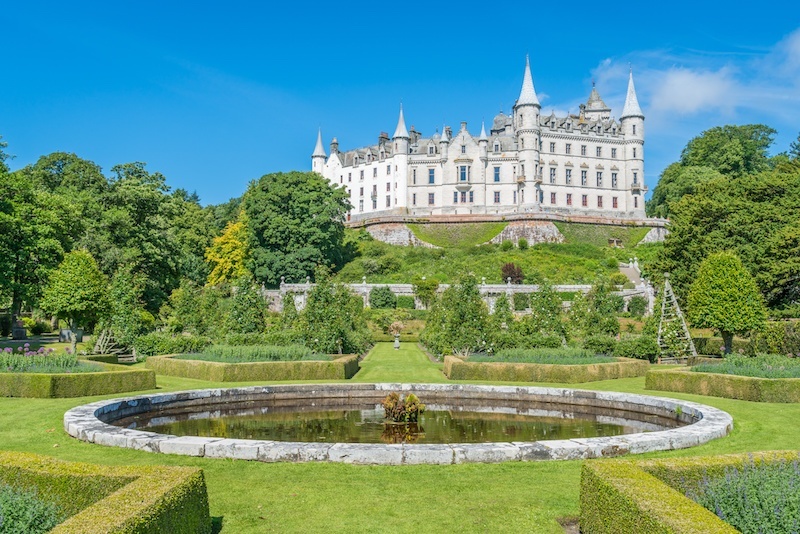 Making your way down the east coast of Scotland you’ll come across Dunrobin Castle. Open to the public from April to October, the remarkable house has been home to the Earls and Dukes of Sutherland since the 13th Century. As well as taking in the history of the house on a self-guided tour you can also marvel at the great gardens, refuel in the tea room and wander round the old summer house, now a museum displaying the families many hunting relics. For some wildlife spotting, the Isle of May is a must. A National Nature Reserve located in the Firth of Forth, the island is famous for its puffin population and its seabird covered cliffs; you can reach the island by ferry from Anstruther or North Berwick. 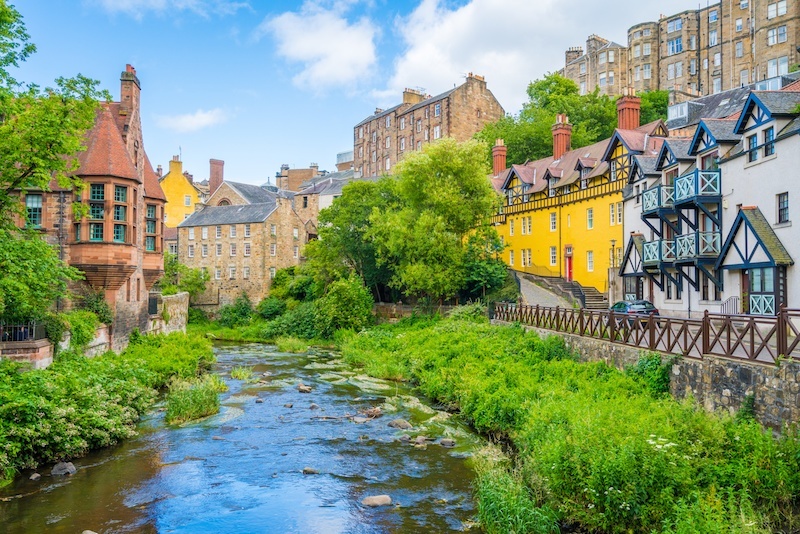 If you make it to Edinburgh, you won’t be stuck for activities, but one place that may not have made it onto your list of places to visit is Dean Village. Not far from the centre and on the Water of Leith, it’s a charming little village that was previously a hive of grain milling activity. In amongst the beautiful backdrop, some of the main highlights include Thomas Telford’s Dean Bridge and St Bernard’s Well. We’ve outlined just a few of the many things Scotland has to offer – how about taking a road trip to see them all? Scotland has some of the best driving roads in the country, and a motorhome is the perfect way to ensure you see the sights your way – hire a motorhome now!